The Season 6 ‘group photo’ has been set up in a parody of the ‘The Last Supper’. There were two versions released, one with the characters in poses mimicking the original (below), and a second (link below first image) with all the characters just looking towards the camera (not as interesting but still cool). Click to view alternate version of group photo. If you’re curious about what clues may (or may not) be hidden in the way the image has been constructed then you should definitely have a read through this post on docarzt.com. Its a pretty comprehensive write-up comparing the Lost version to the famous painting, it covers everything from the placement and position of certain characters to what they are wearing, who they are looking at, the props placed around or near them. 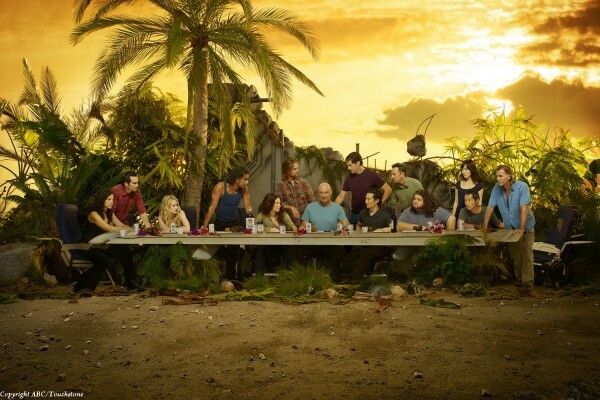 There are also some comparisons to similar ‘Last Supper’-themed promo photos used for other TV shows in the past. After all this is Lost, and as we seen in the past they rerely produce something like this without there being some sort of hidden meaning.